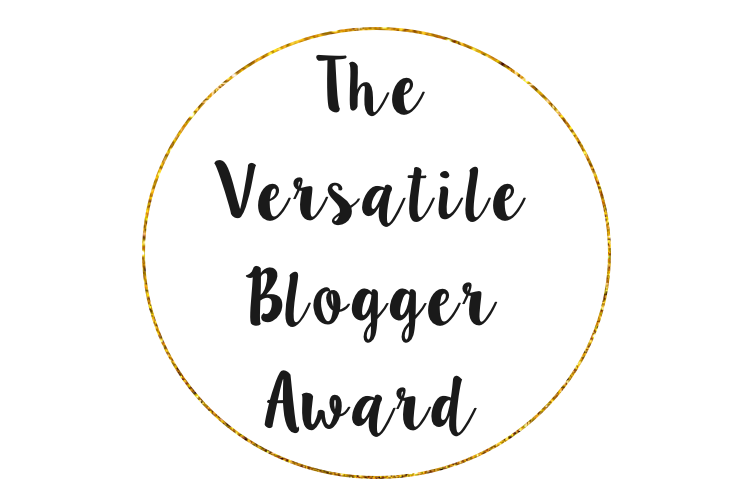 I've been nominated to do the Versatile Blogger Award tag by the lovely Mary, so thank you for the nomination! I think it's great that we nominate each other for these kinds of things - makes for good reading and also you might find out something that you didn't know about the other person. I'm starting with the basic facts and one that some of you might not know, I have a twin sister. Her name is Sarah and from seeing a picture of the two of us, you might assume that she's the older one, but that assumption would be wrong. I'm ten minutes older than her, but we don't hold it over each other at all. 2. I can't drive (but I'm currently learning to!). When you're 17, it's a rite of passage that you learn to drive and finally become free on the road. That didn't happen for me however, as I did a year of manual driving lessons in 2012 and didn't get on with it. However 5 years later I'm getting behind the wheel again, but in an automatic and I'm so excited to finally get my license! 3. I love puzzles and wordsearches. I have a thing for wordsearches in particular, as they test your brain but also let you find new words that would never have known existed. I have a wordsearch app on my phone and I use it at once a day - it’s great for playing if you’re bored or on a long journey. 4. I’m a lover of cars, and I don’t really know why. Even though I can’t drive, I really like cars - looking at them, seeing them being tested etc. It’s really interesting to see how they’re designed and engineered to be the best they can be. I liked watching Top Gear and now The Grand Tour, partly because of the presenters but also the great cars they have on the show(s). 5. My dream is to be a published author. I’ve always had a really vivid imagination, and have been writing short stories ever since I was little. I would love to write a whole book and maybe get it published or self-publish, but I really know what to write it about 🤔 in some ways I am the author of each post on this blog, but having a book to hold that I wrote would be so awesome. 6. My favourite magazines to read are really ‘trashy’ ones. I like to read things like Real People and Chat, or what my dad would call “The Jeremy Kyle of magazines”, as I’m really nosy and like to hear about what’s going on in people’s lives 🙈 Some of the stories are actually quite inspirational, and some are quite shocking. They can also help raise great awareness of certain conditions and causes, so it’s not all bad. I don’t really show this too much, but I do love looking up and seeing stars in the sky at night. I would to get more into astrology, especially considering I read my horoscope every week. I know it’s not real at all, but I like to see what they think my week is going to look like anyway. Hope you lovely ladies have a great time reading my post and writing your own! No worries! I loved writing the answers and everyone's so surprised to learn I'm a twin. That's great that your Dad's a twin, how wonderful! Thank you for the nomination! I’ve done this one a fair few times in the past so probably won’t do it again (honestly, I’ve run out of things to say about myself!) lovednl your answers - I love cars too. I’m a massive F1 fan and also follow the DTM but I LOVE The Grand Tour! In fact I had a dream just last night that my boyfriend got a brand new Audi R8 haha, I wish! Haha love that dream, if only it was real! I loved writing my answers and a lot of people don't know about my love of cars - I don't follow F1 as much, but am slowly catching up with The Grand Tour. This is defo one of my fave types of posts! I love it! I didn’t know you were a twin! I always wanted to be one as a kid! It's one of my favourites too - isn't it just great founding out more about people's lives? Being a twin is actually awesome, we get on too so that helps. I didn't know you were a twin! I've always loved space and the stars, my husband incorporated it when he proposed to me as we both love it! I am a twin indeed, and that is such a cute idea! Space is so fascinating, more so are the conspiracies surrounding it.